AdvantaClean of West Knoxville knows that crawl spaces require attention. AdvantaClean offers customized solutions in the form of crawl space encapsulation, moisture removal and foundation repair to each of our clients. We have the property solutions and procedures to help restore your crawl space to a great condition. Problems like mold, mildew, moisture intrusion, insect and rodent overrun, and destruction to wooden structures are all interconnected. Our modus operandi involves identifying the source of the moisture and encapsulating the affected areas. We also eliminate any visible dust, dirt, bacteria and debris in and around a crawl space. Duct work and vents are other items that we inspect and offer corrective measures for. In other words, our technicians perform all the dirty work on your behalf to create a healthier living and working space for you. 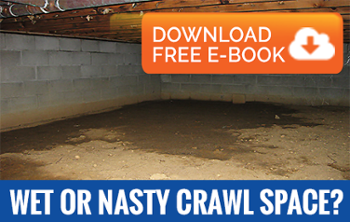 Our highly trained and certified personnel know what each of the affected crawl spaces needs. We accomplish every task without any loss in terms of time and money. Our preventive maintenance program gives you a healthy structure to live or work in for years on end. Call AdvantaClean of West Knoxville for crawl space moisture control!